With a series of acquisitions, a collaboration with a US university, and a formal partnership with a Chinese AI firm, digital health startup Medopad has been making waves. 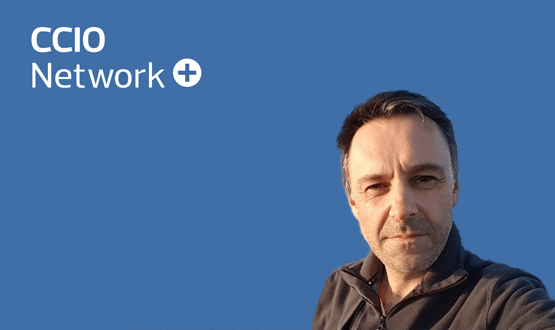 In an exclusive interview with Digital Health, chief executive Dan Vahdat tells Owen Hughes about the company’s journey so far and its aspirations for the future. Medopad is on a mission to reach one billion patients. It’s a seriously ambitious aim from the London digital health startup, but following a flurry of major announcements in 2018, it’s easy to see why the firm is confident of reaching a patient base equivalent to the population of China. Fresh from signing a major AI agreement with Tencent, Medopad has now welcomed eight more health tech firms into the fold under its Platform Programme. Said partners, which include global medical equipment firm Medtronic, will be integrated into the Medopad platform so that patients can access condition-specific services from a single point of access. Sitting on the 13th floor of Millbank Tower, Medopad’s offices command an arresting view of the Westminster skyline, conveniently overlooking Guy’s and St Thomas’ – one of Medopad’s key customers along with most of the big London teaching hospitals – on the opposite side of the Thames. The firm prides itself in hiring the “smartest and hardest working people”, and boasts a team of five non-practising in-house clinicians – as well as with an advisory board of a further 20 practicing clinicians referred to as “the world’s best”. It’s an impressive statement from a company whose founder dropped out of Oxford University to set it up, and who admits its initial mission statement was “a little vague”. Vahdat set up Medopad in 2011 alongside fellow co-founder and company executive director Rich Khatib. The ethos of the company, according to Vadhat, is that by helping people live longer, they can continue to contribute to society in meaningful ways. Vadhat credits German mathematician Carl Gauss as the unlikely inspiration behind this ethos. “I had this thinking in my mind, which I never shared, that came from my childhood. Gauss is the father of predictive analytics, which is the foundation of AI and machine learning. I always enjoyed how he solved different mathematical problems. In common with many startups, Medopad has pivoted and changed focus several times. The company began life as a medical imaging platform. Following a remote monitoring project for cancer conducted with King’s College London in 2015, Medopad gained the interest of Apple, which tasked the British firm with developing a chemotherapy app for the Apple Watch. A lot has changed since then and today doctors use Medopad’s technology to monitor patient health across a range of rare and chronic diseases. It offers symptom tracking, medication adherence, heart, blood and weight monitoring, video consultations and test results. “We started with rare diseases and we built some many modules together with Apple, and at some point, we realised that diseases are more alike than unalike,” explains Vahdat. The key to Medopad’s success, it seems, is that the platform can be adapted for many different diseases that has trackable symptoms that require monitoring: depending on its use case, care providers simply bolt-on any symptoms or metrics that require tracking. In doing so, Medopad offers somewhat of one-size-fits-all solution for health monitoring, and removes the requirement to develop separate apps for different diseases. “That’s why hospitals like us,” offers Vahdat. “We don’t have to build new things, it’s just configuring new things. I can do a configuration with a disease we haven’t covered, right in front of you, without having to build anything. The same concept applies to patients, says Vahdat. “The majority of patients over 65 have two or three chronic diseases at the same time. Imagine if that patient had to interface with two different apps for their condition. With Medopad also eying up the pharmaceutical and insurance sectors, it would be fair to question how the company is seemingly able to address so many facets of health and social care without spreading itself too thin. The answer, according to its founder: partnerships. “We don’t believe we can do everything ourselves,” Vahdat emphasises. 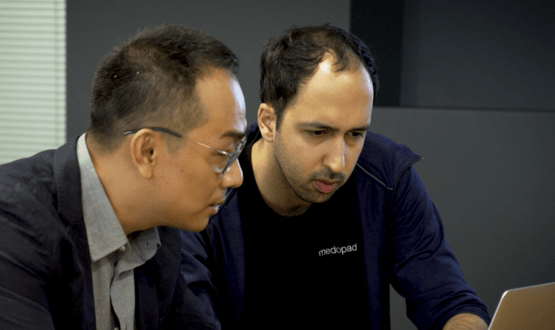 Medopad hopes to build this ecosystem via the proactive partnering that has proved paramount to its strategy, particularly in the latter half of 2018. “Rather than us as one company trying to solve all the problems by ourselves, we have the traction for other companies to partner with us, and now the ecosystem has a much better chance of solving healthcare problems.